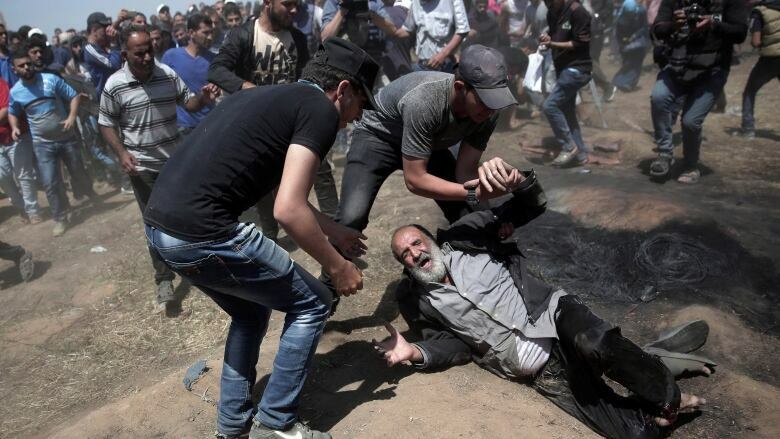 Prime Minister Justin Trudeau is calling for answers after a Canadian doctor was among hundreds injured in a violent clash at the Gaza border Monday, while condemning what he calls an "excessive use of force." Two days after a bloody encounter with Israeli soldiers killed more than 50 Palestinians and wounded many more, Trudeau issued a statement to the parliamentary press gallery Wednesday demanding Israel's leaders explain how a London, Ont. doctor tending to injured protesters was caught in the crossfire — while throwing his support behind calls for an independent investigation. 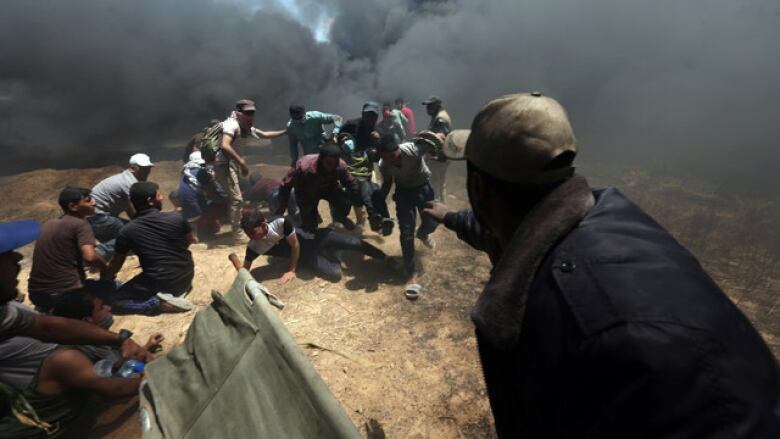 "Canada deplores and is gravely concerned by the violence in the Gaza Strip that has led to a tragic loss of life and injured countless people. 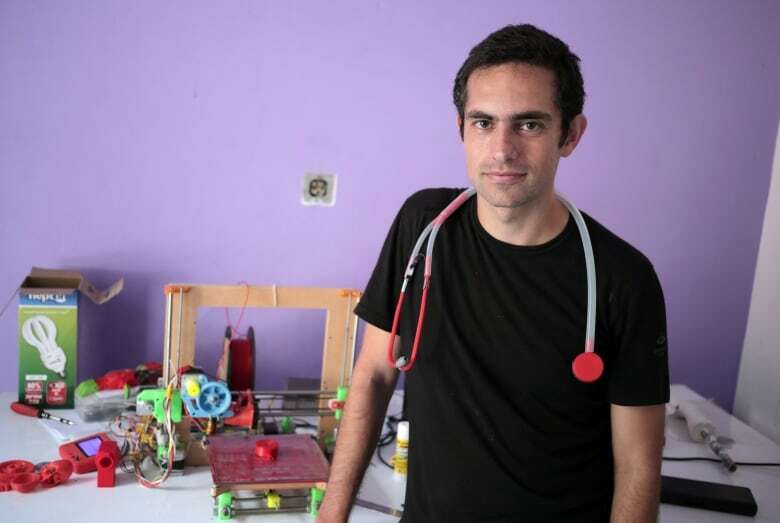 We are appalled that Dr. Tarek Loubani, a Canadian citizen, is among the wounded — along with so many unarmed people, including civilians, members of the media, first responders, and children," he said. "We are doing everything we can to assist Dr. Loubani and his family, and to determine how a Canadian citizen came to be injured. We are engaging with Israeli officials to get to the bottom of these events." Dr. Loubani was reportedly shot in the leg while treating injured protesters. Trudeau's statement goes a step further — in both tone and content — than his previous statement on the violent flare-up at the border, which occurred shortly after the opening of the relocated U.S. embassy in Jerusalem. The city is contested, with both Israelis and Palestinians claiming it as their capital. For that reason, most foreign embassies in Israel are based in the city of Tel Aviv. When asked Tuesday if he thought Israel had used excessive force, Trudeau avoided condemning it directly — instead calling for an end to violence and a two-state solution through direct negotiations "that is mutually agreed by both" Israel and Palestine. Israeli forces killed 59 Palestinians — mostly by gunfire — and injured more than 2,700 more on Monday, the Gaza Health Ministry said. The ministry said about 1,360 people were struck by gunshots during the melee, and that 130 of those injured were in serious or critical condition. 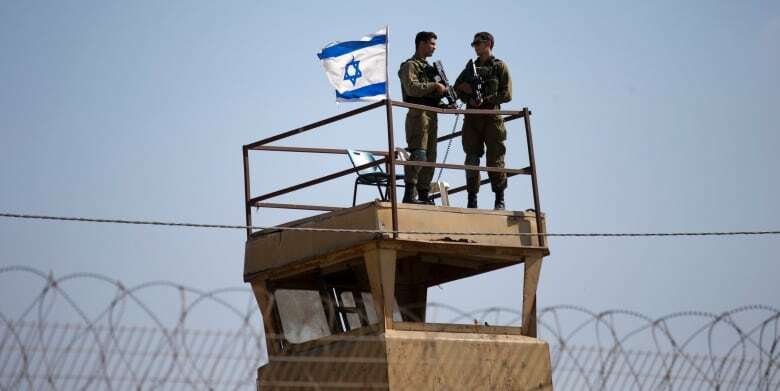 Human rights groups have said Israel's open-fire order was unlawful under international humanitarian law. The latest Trudeau statement also goes one step beyond public comments made by Foreign Affairs Minister Chrystia Freeland. On Monday, she said she was "deeply concerned" about the violence, saying "all parties to the conflict have a responsibility to ensure civilians are protected." Today, Trudeau seemed to single out some of the Israel Defense Forces' actions as "inexcusable." But he also referred to "incitement." Some have accused Hamas, the Palestinian Islamist political organization that controls Gaza, of urging protesters to get closer to the border fence, provoking a violent reaction from Israeli soldiers. "Reported use of excessive force and live ammunition is inexcusable. It is imperative we establish the facts of what is happening in Gaza. Canada calls for an immediate independent investigation to thoroughly examine the facts on the ground — including any incitement, violence, and the excessive use of force," Trudeau said. The prime minister's remarks drew swift criticism from Conservative Ontario Sen. Linda Frum. "Hamas itself acknowledges that 50 of the casualties in battle at Gaza Strip border were its own gunmen. Yet @JustinTrudeau has condemnation only for Israel — and cannot even bring himself to mention the terrorist group that incited the violence and hopes to benefit from it," she tweeted. The prime minister did not mention Israel by name in his statement. "Trudeau calls Israel's effort to protect 1948 internationally recognized border against armed incursion 'appalling.' True friends of Israel knew it was only a matter of time," Frum tweeted. "First opportunity in office to defend Israel's right to self defence & our PM condemns Israel not Hamas." Trudeau's statement also drew criticism from the Centre for Israel and Jewish Affairs. Its CEO, Shimon Koffler Fogel, issued a media release saying it is "deeply disappointed the government's statement ignores Hamas' direct responsibility for recent violence on the Israel-Gaza border. "This contradicts the government's long-stated position that, as a close ally and fellow liberal democracy, Israel can count on Canada's support when its security is threatened. It also disregards Hamas' claim today that 50 of 62 fatalities in the latest attempts to breach the border were Hamas members." Trudeau said Canada was ready to assist in an investigation. "We will work closely with our international partners and through international institutions to address this serious situation." Canada now joins Germany, Spain, the U.K. and Belgium in demanding such a probe. The U.S. vetoed that demand at a meeting of the United Nations Security Council yesterday. "There are different forms of inquiry that are possible through the United Nations and we have to find the right formula, but it is important to find out all the facts." Both Ireland and Belgium summoned the Israeli ambassadors to their foreign ministries for questioning about the Gaza violence. Belgium's prime minister, Charles Michel, called the Israeli actions "unacceptable violence," saying "there is a clear lack of proportionality and we are asking for an international investigation." This story has been updated from a previous version which stated that Dr. Tarek Loubani was shot by the Israel Defence Forces. In fact, the Canadian government is trying to determine how he was injured and is "engaging with Israeli officials to get to the bottom of these events."